Mel Hunt was born on August 28, 1946, in Pond Gap, West Virginia. He enlisted in the U.S. Air Force on August 21, 1964, and after completing basic training, he was trained as a Helicopter Mechanic at Sheppard AFB, Texas. His first assignment was as a helicopter mechanic with the 4500th Organizational Maintenance Squadron/Consolidated Aircraft Maintenance Squadron at Langley AFB, Virginia, from February 1965 to May 1966, followed by service as a U-10 Courier and UH-1 Iroquois mechanic with the 606th Air Commando Squadron at Nakhon Phanom Royal Thai AFB, Thailand, from May 1966 to February 1967. Sgt Hunt next served as a UH-1 mechanic and flight engineer with the 20th Helicopter Squadron (later redesignated the 20th Special Operations Squadron) at Nha Trang AB, South Vietnam, from February to May 1967, and then as a helicopter mechanic with the 6200th Organizational Maintenance Squadron/Consolidated Aircraft Maintenance Squadron at Clark AB in the Philippines from May 1967 until he left active duty on December 13, 1968. During his last assignment, he deployed to South Korea from November 1967 to March 1968. 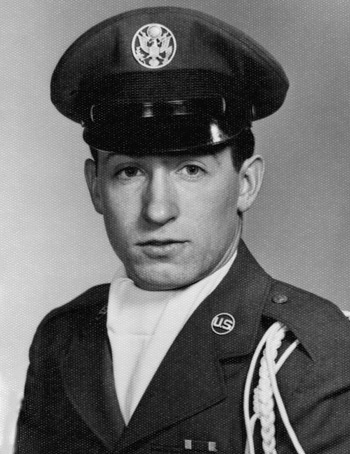 SSgt Hunt remained in the Air Force Reserve until his honorable discharge on August 20, 1970. Sergeant Russell M. Hunt distinguished himself by extraordinary heroism in connection with military operations against an opposing armed force as a mechanic on a UH-1F helicopter in Southeast Asia on 31 March 1967. On that date, Sergeant Hunt's aircraft was shot down while participating in the evacuation of a beleaguered party of American and Allied ground forces. Despite painful injuries and continuous hostile fire, Sergeant Hunt rendered aid to increasing numbers of wounded personnel. When hostile actions forced a movement of the ground party, Sergeant Hunt assisted in carrying his mortally wounded aircraft commander in an exhausting trek to a designated landing zone. In the landing area, Sergeant Hunt again exposed himself to the hostile field of fire to give manual landing directions to the recovery helicopters, refusing evacuation until all seriously wounded personnel had been airlifted from the scene. 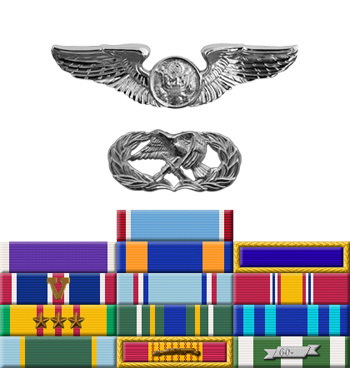 Through his extraordinary heroism, superb airmanship, and aggressiveness in the face of hostile forces, Sergeant Hunt reflected the highest credit upon himself and the United States Air Force.